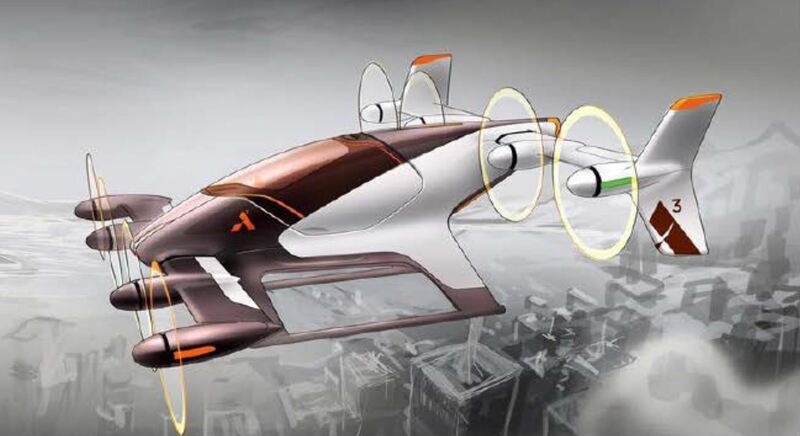 Uber wants you to forget about cars and start thinking about fully autonomous flying as an alternative—a more "economically favorable" way of getting to your grinding nine-to-five. 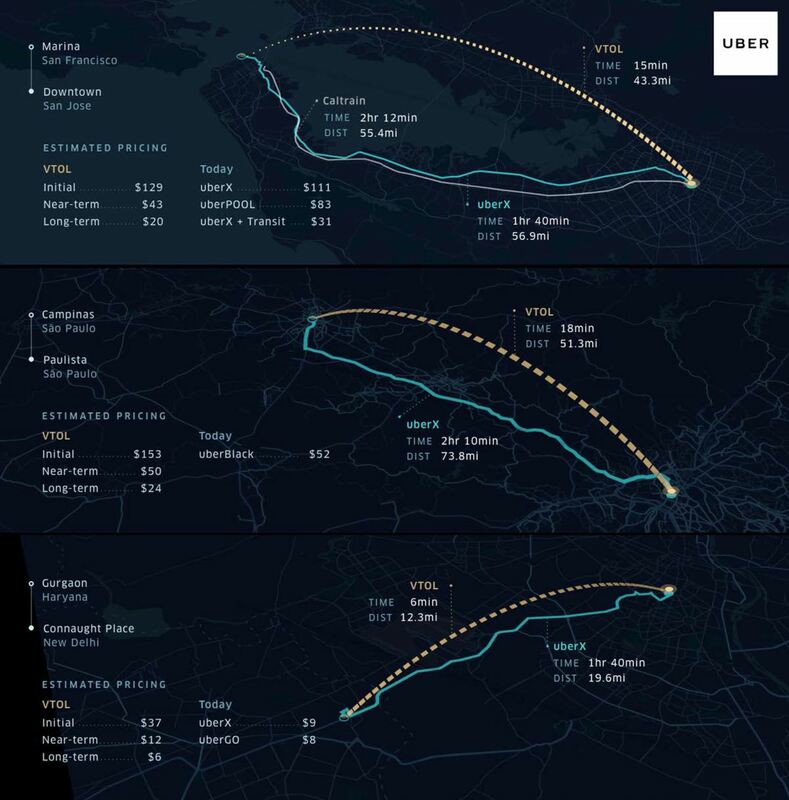 Last October, Uber showed off Uber Elevate, a concept that the company calls the "future of on-demand urban air transportation." And now, in an interview with Mashable, Nikhil Goel, Director of Product at Uber Elevate, says Uber is planning to create self-flying taxis that are more affordable than owning an average car. Uber won't differ too much from its original ride-sharing structure, Uber Pool, which picks up a few people in one location and then drops them off in various locations along the way. The autonomous flying vehicles, what the company calls VTOLs ("Vertical Take-off and Landing aircrafts"), will use takeoff and landing pads just like helicopters do now. Uber plans to convert the rooftops of large buildings into areas where the aircrafts can park and recharge. Unlike with Uber Pool, passengers will have to meet at "pods" where the aircraft is parked. Passengers won't be dropped off at their exact location, either, but to the nearest pod available. After landing, passengers then have the option to take a self-driving car to their exact address. This is similar to China-based EHang's flying drone taxis, which are being tested in Dubai right now. However, these drone taxis are just that—flying taxis piloted by somebody in a control center on the ground. And as of right now, these flying vehicles are limited to one passenger. Drone taxis... not quite self-flying like Uber's plan. We also believe that in the long-term, VTOLs will be an affordable form of daily transportation for the masses, even less expensive than owning a car. Normally, people think of flying as an expensive and infrequent form of travel, but that is largely due to the low production volume manufacturing of today's aircraft. Even though small aircraft and helicopters are of similar size, weight, and complexity to a car, they cost about 20 times more. According to Yvette Tan at Mashable, Uber is gearing up to release 1,200 VTOLs within ten years, but only if the company can manage to drive the costs down. The first ones will be driven by a pilot, and then eventually will become fully autonomous. Goel stated that flying needs to be "cheaper than owning a car" for it to become "a true replacement solution for everybody." If Uber truly manages to replace car ownership with mainstream support for an autonomous flying taxi, then the ride-sharing service could work. In the long run, the more common it is for small aircrafts to be produced, the less it will cost manufacturers to make them. The VTOLs will also have to be full. Goel notes that the aircraft will pretty much always need to have four passengers on board for it to be affordable. Not only will Uber have to deal with the costs of manufacturing VTOLs, but dealing with aviation regulations and country-specific rules will also be another issue that the company needs to be ready to tackle. Goel hopes governments will be willing to receive self-flying taxis as "the new normal." News: Cool Finds On WHT.